Red is undeniably the color of the holidays (green included, of course) – Santa’s suit, Rudolf’s nose and don’t forget your festive cups at Starbucks! 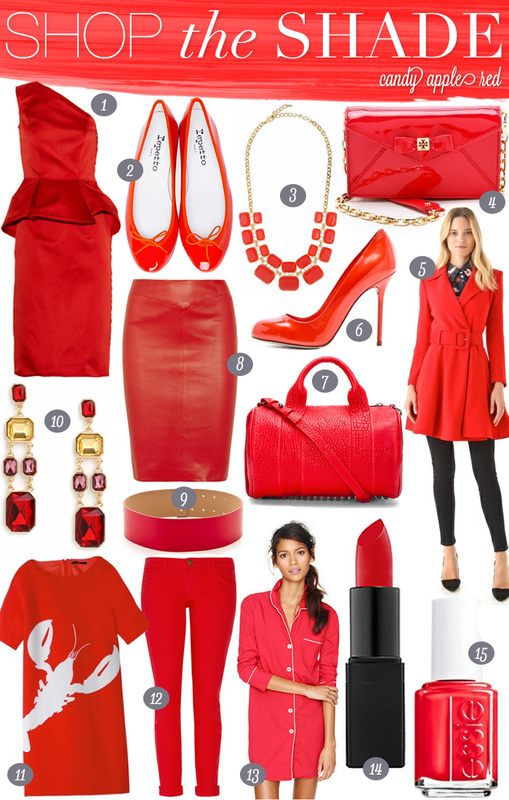 It also happens to be one of my favorite colors to wear (check out my latest red getup here). With Christmas only a few weeks away and some of the best deals going on right now online (which I’ve so kindly identified below), I wanted to share some of my favorite pieces in this bold and beautiful hue. Two things in particular I am having a fit over :: the adorable Tibi lobster dress (so fun!) and the bright Alex Wang bag.